discounts at Viejas Bowl and the Viejas Ice Rink, as well as a gift card in exchange for new, unwrapped toys. 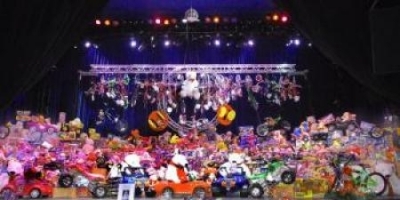 There was a lot of excitement and anticipation during the "Big Reveal" where the curtain was raised in the DreamCatcher at Viejas Casino, all the toys are revealed on stage, and the exact number of toys raised was announced - 12, 017 toys. It was a new record and it is believed to be the most toys raised by a single organization in San Diego County. 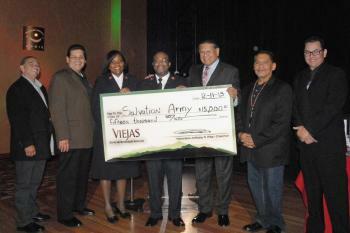 For more information on Viejas, visit www.Viejas.com.